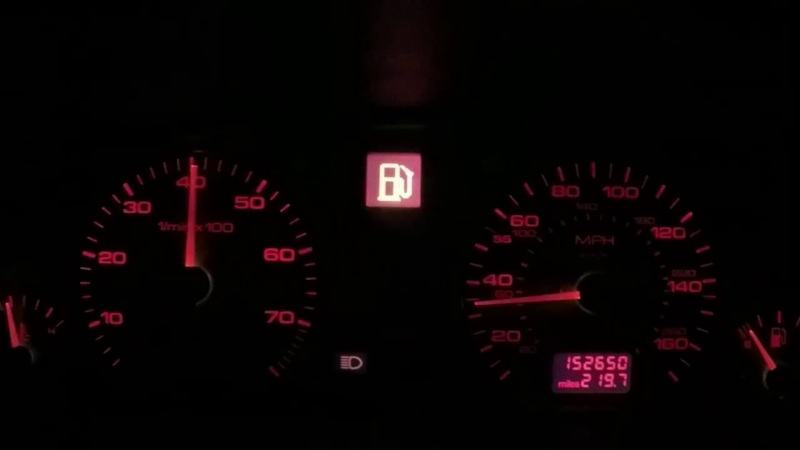 Wanted to share some great power numbers for the K24-7400 Volvo turbo on E85. -VEMS, speed density. Marc Swanson custom tuning. I see around 25-28psi at 3400 rpm, full boost of 35psi at 4000 rpm all the way to redline. Really happy with it for now. Just enough power for me and I wont get bored of going between 91 & E85 as I have a flex fuel sensor and I believe Marc S. tuned it so it is flexfuel capable (adding 91 to E85 gives less power, adding E85 to 91 gives more power). 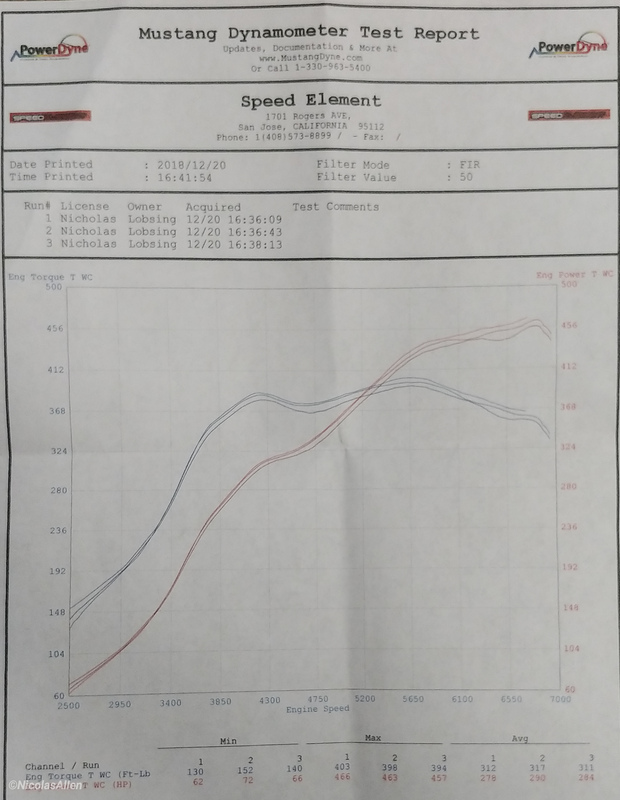 Made 466whp/403wtq on mustang dyno. Trying to get to 500whp club with some intake manifold porting, ported throttle body, and head work! 91 octane dyno soon to come. Last edited by Nickl23; 5th March 2019, 00:09. Hmm, isn't ~550 crank hp quite much for this K24 7400 turbo? Last edited by Thuppu; 7th February 2019, 10:16. Congrats,....... that's way more than anyone said was possible with the Volvo 7400. Thanks for proving how good this turbo is. Looking forward to the 91 Ron numbers and wondering what a similar set up would be like on UK 99 Ron? What size impellers? Compressor and turbine? nice results. and that with the 6 hotside? Yes I think I do too. It was early when I looked at it Specsavers here I come. Sorry, I'm always a little bit sceptic about US WHP as they tend to be about the same numbers as scandinavian Crank HP. Maybe guys in US just can tune the engines better, or the dyno's are way more optimistic..? Last edited by newsh; 8th February 2019, 08:14. I'm not trying to be a party pooper here, but as EFI express mention on their FB site, their upgraded K24-7400 is good for about 320whp with pump gas. That would be a quite nice gain to 466whp with e85. Maybe it's possible, I have no experience with this turbo, but it has a quite small turbine, so I doupt it would reach to that level..? 466 crank hp would sound a lot more realistic, and also that dyno plot says engine power and torque. Speaking with Marc in the phone he said the normal stock 7400 is good to 320whp, the drop in billet wheel is a little more up high, their larger hybrid billet wheel with compressor mods should make around 350whp. Running e85 will give better results. 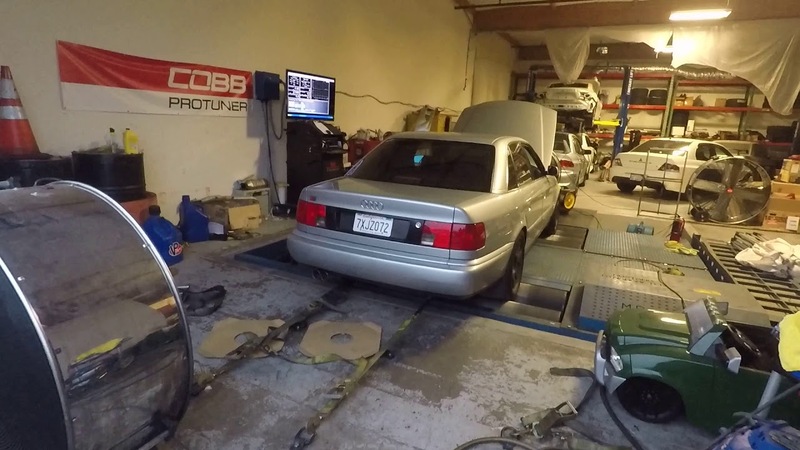 I'm running a k24 7400 with drop in billet wheel and an efi ECU in my S4. Cant comment on the performance yet ad I've literally just finished my build and the detail on the car...then had ACL surgery so I've not driven the car. I'm in for any and all updates to this thread and can post up results from my build as well when I'm able to drive.